Last year, a red corner notice was issued against Michel by the Interpol on a request by the CBI. RCNs were also issued against two Italians involved in the scam — Carlo Gerosa and Guido Haschke. New Delhi: Christian Michel, the alleged British middleman wanted by Indian investigative agencies in the Rs 3,600 crore AgustaWestland VVIP choppers deal case, has been extradited by UAE authorities to India and has landed at the the Indira Gandhi International Airport , New Delhi on Tuesday night. As per TV reports, the Central Bureau of Investigation (CBI) took him under his custody as soon as he arrived at the airport around 11 PM in a special aircraft. Michel is likely to be kept at the CBI headquarters for questioning for the night. He will be produced before the court on Wednesday. According to reports, Michel was accompanied by some CBI, Research and Analysis Wing (RAW) and Ministry of External Affairs officials. Michel is one of the three middlemen being probed in the case, besides Guido Haschke and Carlo Gerosa, by the Enforcement Directorate (ED) and the CBI. Both the agencies had notified an Interpol red corner notice (RCN) against him after the court issued a non-bailable warrant against him. The breakthrough comes on a day when External Affairs Minister Sushma Swaraj held exhaustive discussions with her UAE counterpart Abdullah bin Zayed in Abu Dhabi. The Dubai government on Tuesday had passed an order to extradite Michel to India. “Wanted fugitive criminal Christian Michel James who has been avoiding criminal proceedings in India in AgustaWestland Case is being extradited to India under the guidance of National Security Advisor Ajit Doval,” the CBI said earlier in the day. The operation was coordinated by CBI Interim Director M Nageswar Rao and a team of officers led by Joint Director Sai Manohar was in Dubai to bring him back. In 2017, India had officially made the request to the Gulf nation for Michel’s extradition, based on the criminal investigations conducted in the case by the CBI and the ED. 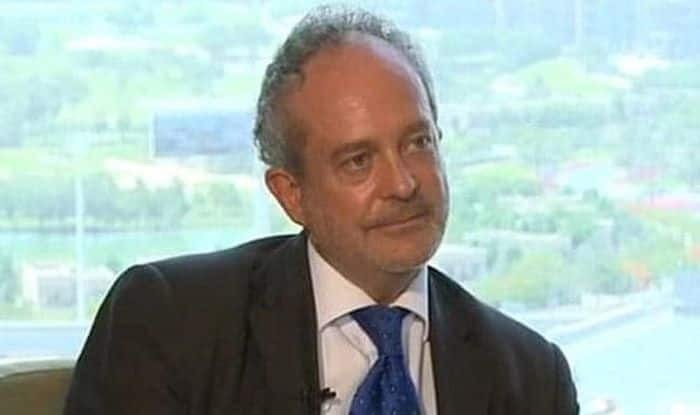 On November 29, the UAE envoy to India had said that the extradition of Christian Michel, a British national, should be left to the UAE’s judicial system. Earlier this month, a top Dubai court upheld a lower court’s order to consider the possibility of extraditing Michel, 54, who is currently behind bars in Dubai since he was arrested and sent into custody pending the legal and judicial procedure in the UAE. The ED, in its chargesheet filed against Michel in June 2016, had alleged that he received EUR 30 million (about Rs 225 crore) from AgustaWestland. The money was nothing but “kickbacks” paid by the firm to execute the 12 helicopter deal in favour of the firm in “guise of” genuine transactions for performing multiple work contracts in the country, according to the chargesheet. The ED investigation found that remittances made by Michel through his Dubai-based firm Global Services to a media firm he floated in Delhi, along with two Indians, were made from the funds which he got from AgustaWestland through “criminal activity” and corruption being done in the chopper deal that led to the subsequent generation of proceeds of crime. Michel denies the charges. On January 1, 2014, India scrapped the contract with Italy-based Finmeccanica’s British subsidiary AgustaWestland for supplying 12 AW-101 VVIP choppers to the IAF over the alleged breach of contractual obligations and charges of paying kickbacks to the tune of Rs 423 crore by it for securing the deal. The CBI has alleged there was an estimated loss of Euro 398.21 million (approximately Rs 2,666 crore) to the exchequer in the deal that was signed on February 8, 2010, for the supply of VVIP choppers worth Euro 556.262 million.